You may know about the mouth-watering barbecue in Raleigh, N.C. You may know that passionate minds like chef Ashley Christensen are rocking the food scene here with cutting-edge Southern cuisine and innovative dishes. You also have to know that the excellent variety of dishes and cuisines is another reason to experience our culinary scene. The destination has a great answer for just about any food craving. And especially when it comes to this local favorite, served up with delicious recipe twists in Raleigh: tacos. Here are several you&apos;ve got to try. 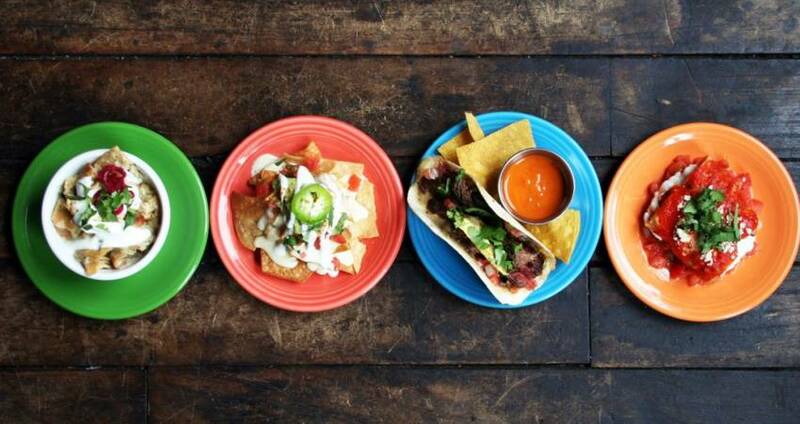 Raleigh’s hidden taco gem is Taqueria El Toro, an authentic taqueria with big flavor at a great price. The open sauce and topping bar lets you create your own taco masterpiece. We recommend the grilled chicken and the chorizo tacos, but you really can’t go wrong. You had me at “fried” and “avocado”: this beautiful marriage results in a deliciously-filling taco for vegetarians and carnivores alike. Add a side of the Mexican fries with poblano mole and queso fresco to really whet your appetite. On Saturdays Centro serves their specialty breakfast tacos filled with succulent pork belly, scrambled eggs, avocado and pickled onions. Try these shrimp tacos filled with cheese, a tequila-chipotle sauce (two of our favorite things) and pico de gallo. Restaurant locations in the destination are at the Aloft Raleigh near North Carolina State University and in North Raleigh and Wake Forest. These spicy carne asada tacos were the most well-known tacos at Chubby’s, and do not fret, the recipe used for Guacamaya’s is the same. You&apos;ll will love the simple toppings of fresh cilantro and onion; this taco doesn&apos;t need many toppings—the spicy asada marinade packs a punch! Locations include one near the North Carolina Museum of Art and one in North Raleigh. We couldn&apos;t go without mentioning this sixth taco. Brought to you by passionate mind Niall Hanley and Hibernian Hospitality, Dos Taquitos XoCo serves up their insanely-good Original Steak Tacos: two grilled flour tortillas filled with melted chihuahua cheese, avocado, pico de gallo and carne asada! Have your own favorite taco in Raleigh? Feel free to share in the comments below!